'I sometimes feel like I'm consulting with the management of Peace Now,' then-defense minister reportedly sniped at IDF chief Eisenkot, who was said to oppose Gaza ground operation. The letter conveys dismay at Israel Strategic Affairs Minister Gilad Erdan's attempt to enlist US governors to apply pro-settlements laws which are likely unconstitutional. Eight out of the 22 players on the current Israeli soccer national team are non-Jews. Tomer Fadlon, an expert on the politics and diplomacy of soccer at Tel Aviv University explains the apparent contradiction and much more. Go HERE for a recording of yesterday's briefing call with Yossi Alpher (below is the edited PeaceCast version), and HERE to see APN's Form 990 for 2017, recently submitted to the IRS that provides the organization's financial information. This episode is an edited down version of a November 15th 2018 briefing call with strategic affairs expert Yossi Alpher, a former senior Mossad official and the former director of Tel Aviv University's Jaffee Center for Strategic Studies. 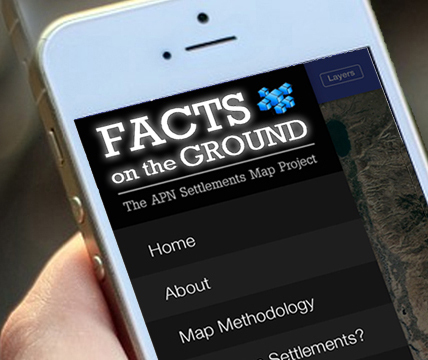 On Tuesday, November 13, APN released the new, completely revamped and upgraded version of its Facts on the Ground Map App, available for free on iPhone and Android. This episode features a conversation with Ose Oyamendan, a documentary filmmaker whose film A Bridge Over Blood documents efforts by Israeli peace activists in southern Israel and Palestinian activists in the Gaza Strip to build bridges of understanding and friendship to advance peace. APN congratulates the legislators elected yesterday to the House of Representatives and the Senate. In particular, we welcome new members of Congress. As they prepare to come to Washington, we encourage them to deepen their understanding of the Israeli-Palestinian conflict. 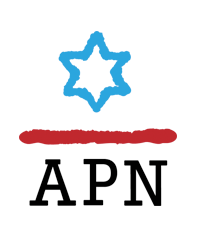 We invite them to use APN as a resource for enhancing their efforts on Capitol Hill to advance peace between Israel, the Palestinians, and the Arab world. APN opposes the Trump administration's decision to reimpose sanctions on Iran, a step that jeopardizes both American and Israeli security and is likely to embolden Iran's hardliners. #59: Gaza, Preparing for Dawn featuring Donald McIntyre, the former Jerusalem bureau chief of the British Independent, and author of a new book on the Gaza Strip. #60: Critical Engagement: American Jews and Israel featuring Dov Waxman, a Professor of Political Science, International Affairs, and Israel Studies at Northeastern University, and Director of Northeastern’s Middle East Program. We don’t need another vanilla gathering to pat ourselves on the back. If you want to galvanize the moderate majority, take on a real challenge to repair and strengthen our country — one worthy of Rabin’s legacy. Letty Cottin Pogrebin's "For 40 Years, I’ve Fought for Israeli-Palestinian Peace. But a Trump-brokered Deal? Debra Shushan's "The Day Donald Trump Was Crowned King in Jerusalem"
Along with many other U.S. Jews, I wanted to feel pride at the opening of the U.S. embassy in Jerusalem. But amid the carnage in Gaza, I felt nausea. Amid a barrage of anti-Palestinian actions, a tacit endorsement of Israel’s West Bank annexation, and an occupation-denying U.S. Ambassador, are the big guns of U.S. Jewry – AIPAC, ADL, AJC, JFNA – really too afraid to rock the boat with Trump? 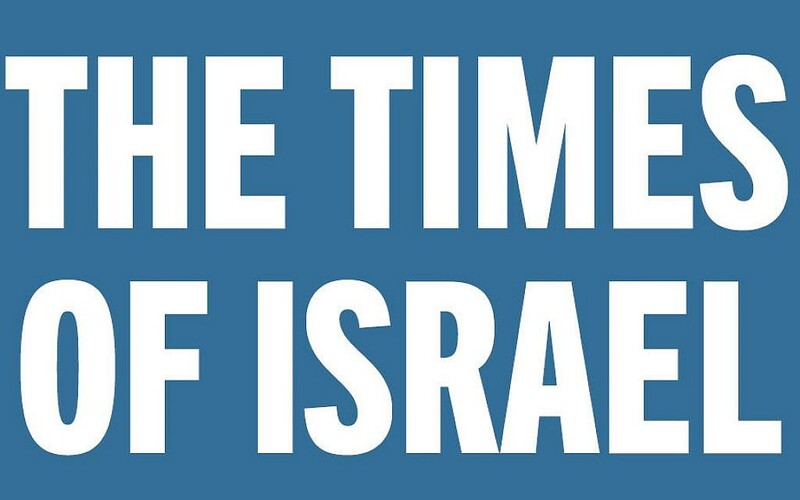 The move was promptly condemned by Americans for Peace Now in a press release suggesting that it will undermine efforts to achieve a two-state solution. The NGO settlement watchdog, Peace Now, and the Hebron municipality have issued an appeal to the Israeli Civil Administration against the plan. In response to Leiberman's announcement, Peace Now said that "nothing harms Israel’s reputation as much as construction projects for Israeli settlers in Hebron City. Instead of evacuating them, the government surrenders to extremists and seems intent on forcing us away from peace." “It is extremely disturbing that a major mainstream American Jewish organization is bankrolling the activities of the Canary Mission... a shadowy enterprise which seeks to intimidate college students who do not fall in line with its right-wing perspective on Israel,” said Debra Shushan, director of policy at Americans for Peace Now. "The government of Netanyahu continues to destroy the chances for peace and a two-state solution by building in settlements,” said left-wing group Peace Now in response to the data. “Unfortunately, we see that since the Trump administration, there is an increase in approvals in construction and now we start to see it on the ground. Ori Nir, the director of communication at the nonprofit organization Americans for Peace Now, told Arab News that the move to close the Palestinian office in Washington is “another swing of Trump’s wrecking ball” at prospects for Israeli-Palestinian peace. Debating with Ruthie Blum of the Gatestone Institute and Fatah international spokesperson Ziad Khalil Abu Zayyad, APN's Debra Shushan discusses the Trump administration's closure of the PLO Mission in DC, the Palestinian turn toward the International Criminal Court, the pending demolition of the West Bank Bedouin village of Khan al-Ahmar, and the IDF's grim projection for conflict between Israel and Gaza. There are no adults in the room, anonymous or not, diligently frustrating Trump's cruel, disastrous Mideast policy, only arsonists - Jared Kushner, Jason Greenblatt and David Friedman - dousing the house with kerosene. Watch clips from this week's show on Netanyahu's affinity for human rights violators in light of Philippine President Duterte's visit to Israel; Jared Kushner's Palestinian-Jordanian confederation proposal to President Abbas; Ambassador Friedman's assault on UNRWA and aid to Palestinians; and what revelations from Bob Woodward's Fear mean for Netanyahu. Hagit Ofran of the organization Peace Now said that "this is not a real estate project but a project of defiance and settlement." ...He makes the remarks at a meeting with Knesset members and activists from the NGO Peace Now in Ramallah. Abbas made his remarks in a meeting with an Israeli delegation representing the Israeli "Peace Now" movement at his office in Ramallah, where he reacted to the United States decision to stop its aid to the Palestinian refugees' agency UNRWA. Sunday’s meeting included members of Peace Now and other organisations, as well as two Israeli parliament members. (Peace Now Director) Morag concluded the meeting by assuring Abbas that "The Israeli peace camp is widespread and during the next general election Peace Now will demand from the leaders a commitment to advancing the two-state solution."